Camels are rarely seen so far south into the costal districts of Western Australia. Camels have the ability to withstand dry landscapes but this years extremely dry conditios on the Nullarbor and Goldfields has led the camelas to search for food and water. Biosecurity experts are blaming successive governments' poor management of Crown land for growing feral populations and the subsequent impacts on pastoralists and farmers. The ABC reported Brett South recently spotted a group of eight camels on a dirt road next to his farm in Beaumont, about 130 kilometres north-east of the coastal town of Esperance. "My grandfather-in-law has been farming out here for 20-odd years now and this is the first time he's seen camels," Mr South said. "I was a bit blown away. "I thought they might have been sheep or cattle." Mr South said the herd ran through fences and gates. "They wreck all your waterholes, they have no respect for your boundary fences and your gates," he said. "The number of pests we have up here, we don't need to add camels to the list." WA is now home to the largest herd of feral camels in the world, with 45 per cent of the nation's camels, according to the Department of Biodiversity, Conservation and Attractions. Because of the extensive damage they cause to pastoral infrastructure in WA, feral camels are declared pests in the state. With that in mind, Mr South herded his mysterious mob of camels into a driveway and shot six of them, while two got away. "These camels had walked a very long way to get water and feed," Mr South said. "They were buggered and full of worms. They actually near on needed putting down." Another herd of 10 feral camels were found on a farm in Mount Ridley, 100 km to the east of Beaumont. Camel droppings alerted Ridley Downs farm manager Aaron Pontifex to his uninvited guests. "I'd seen poo and I thought that was a bit unusual, so I went hunting for them and found them," Mr Pontifex said. "They had smashed through a bit of the crop. "I rang the boys ... went and got some guns and sorted them out." Ross Wood is a biosecurity expert and chief executive of the Goldfields Nullarbor Rangelands Biosecurity Association, which is the main organisation carrying out control programs on the camel populations in those arid regions. Ross spoke with the ABC about his theory on the populations movements. "They're gradually infiltrating into the pastoral zone and we're spending more time and effort having to deal with them," he said. Mr Wood said successive governments had failed to deal with the pest problems on Crown land. "Their view has been that they can control the problem once it gets into different tenures like farming and pastoral land," he said. "[It's] a ridiculous concept because it is so much harder to do once it is inside. It's going to continue to happen unless we get good strong programs holding back camel populations in the desert. A Department of Biodiversity, Conservation and Attractions spokesperson said camels were nomadic and travelled in small groups, making them hard to locate and control from the ground. "Opportunistic shoot programs are carried out for the sparse population of camels in the Goldfields and South Coast regions," the spokesperson said. "Camels are also removed through opportunistic shoot programs in the Dundas Nature Reserve and the surrounding area." 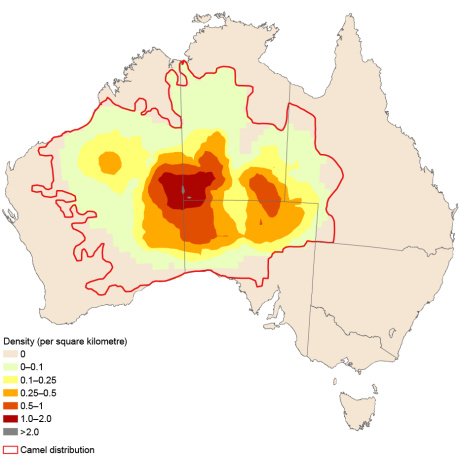 There are estimated to be 1 - 1.2 million feral camels in Australia. The Centre for Invasive Species estimated the population to be growing at 8% per year. 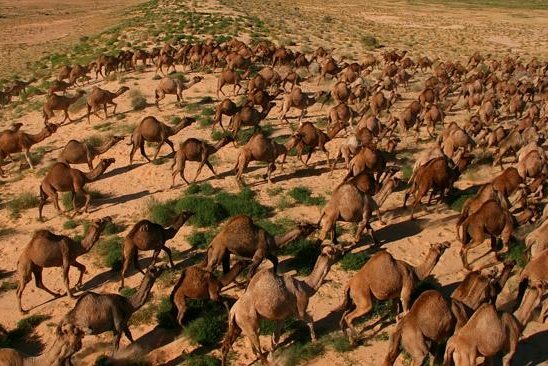 Between 2009 and 2013, 160,000 camels were culled in Central Australia using ground-based and aerial culling techniques. Another example of where public land shooting could have an impact. Granted that the areas are vast Im sure if opportunities are made in delicate areas that are identified hunters could make an impact.